I really enjoy this time of year. Not only can I look forward to Christmas but the busy period is behind me, any galleries I supply need their new stock around mid-October. 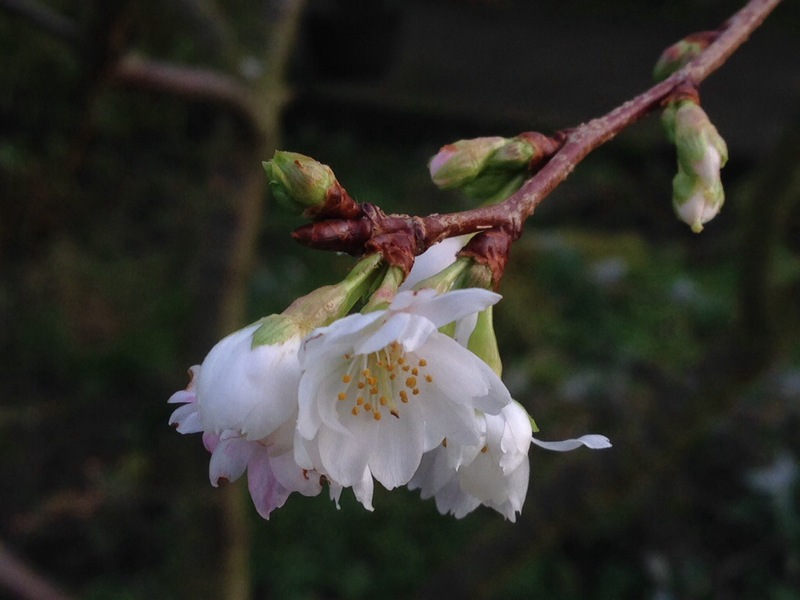 The garden and the moorland around my studio still have quite a lot of vivid autumn colour at the moment and my favourite Japanese flowering cherry is coming into flower, although it’s only just dropped this year’s leaves. It has done this some previous years and I love that it flowers over such an extended period. I have spent some time last week emptying my display cabinets, partly because I was having a popup shop in Whitby last Thursday evening. It gave me the opportunity to review my work and make a few decisions about directions for next year. 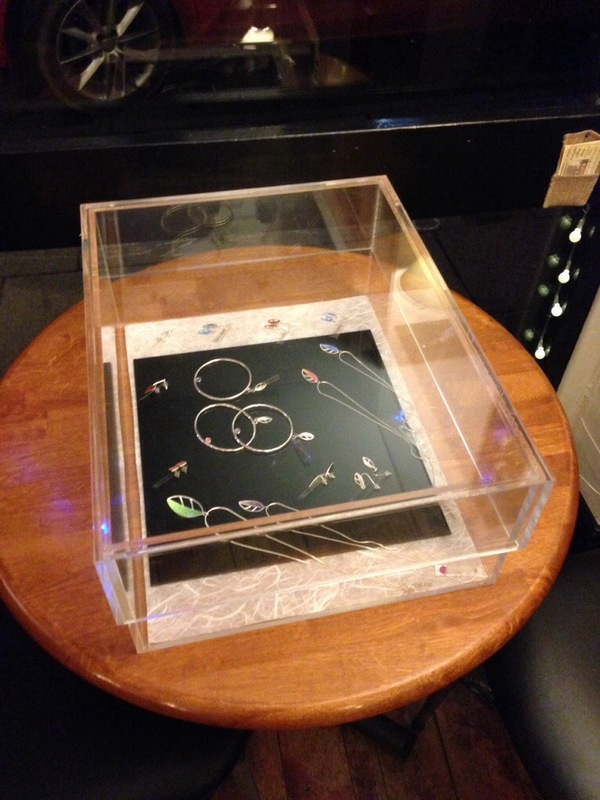 This is one of my display cases from Thursday evening in Beckett’s Coffee Shop. I have always been inspired by plants and find leaves and flowers often appear in my work. I have reorganised my display so that all the plant based designs are now together. 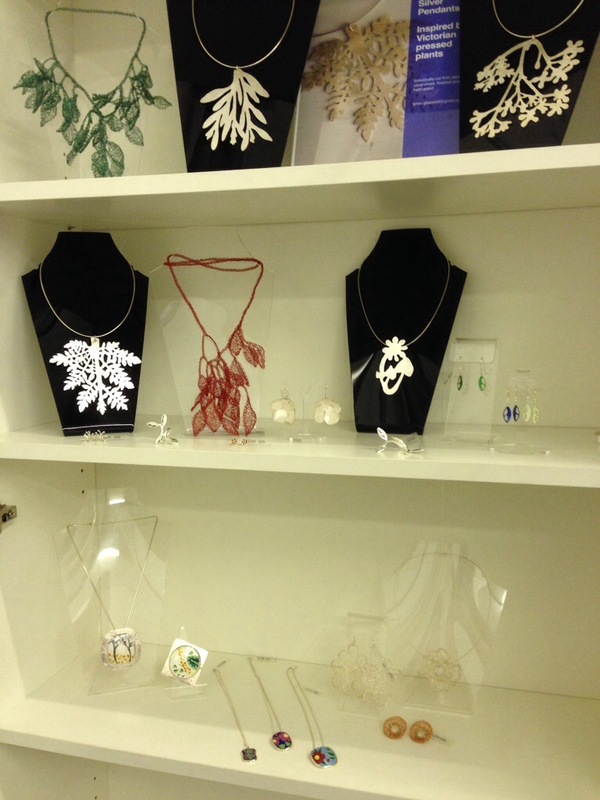 These include some pieces of crochet in wire, some cloisonné enamels and some of the pieces pierced from silver sheet inspired by my year as artist in residence at Whitby Museum. 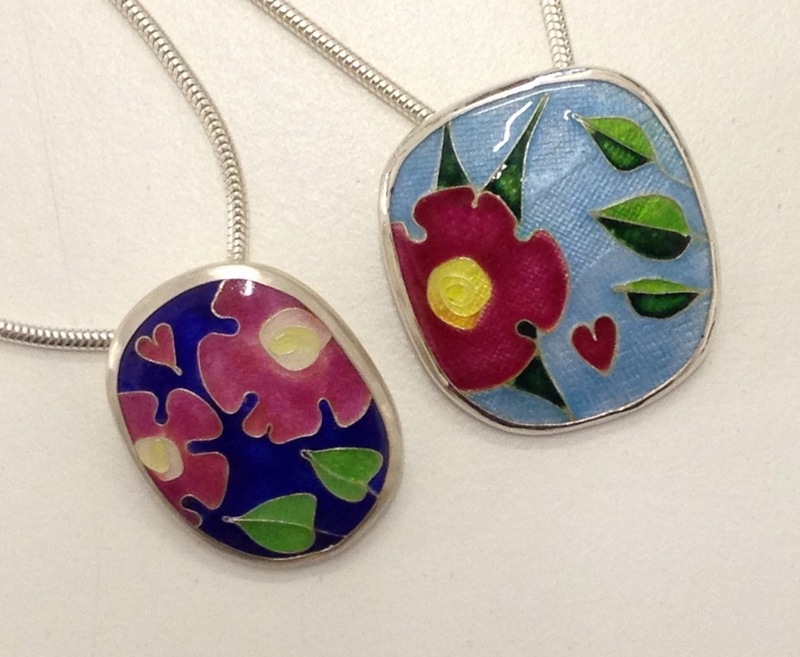 These two pendants are all that remain of a collection of floral cloisonné enamels I made many years ago and I intend to do more of this in 2014, including teaching cloisonné enamelling techniques on a regular basis throughout the year. I am looking forward to building up a new collection before the autumn in time for an exhibition by members of the Guild of Enamellers at the Pannett Art Gallery next October. 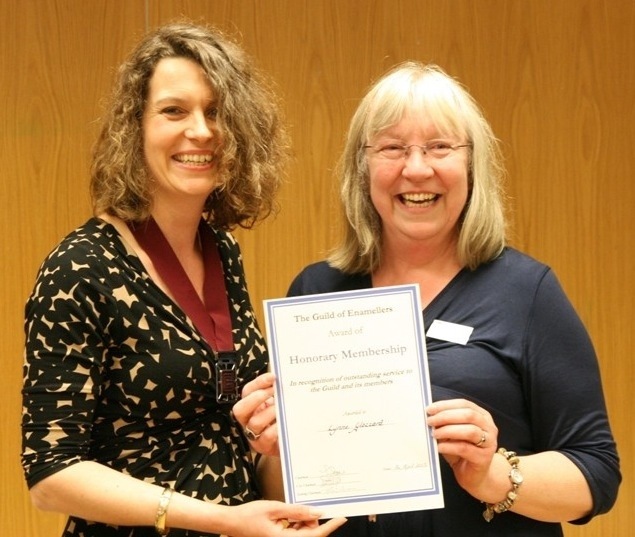 Enamelling has been my passion for many years and I haven’t quite got over being awarded honorary membership of the Guild at the conference last April, which I think must have been one of the highlights of 2013 for me. Here I am being presented with my certificate by the then Chair Jane Ball. I have also had three rings included in the ‘Heart of the Heat’ exhibition of enamelling in Birmingham and two enamelled beads selected for the book 1000 Beads due to be published next May by Lark Books (one of which will be on the cover). 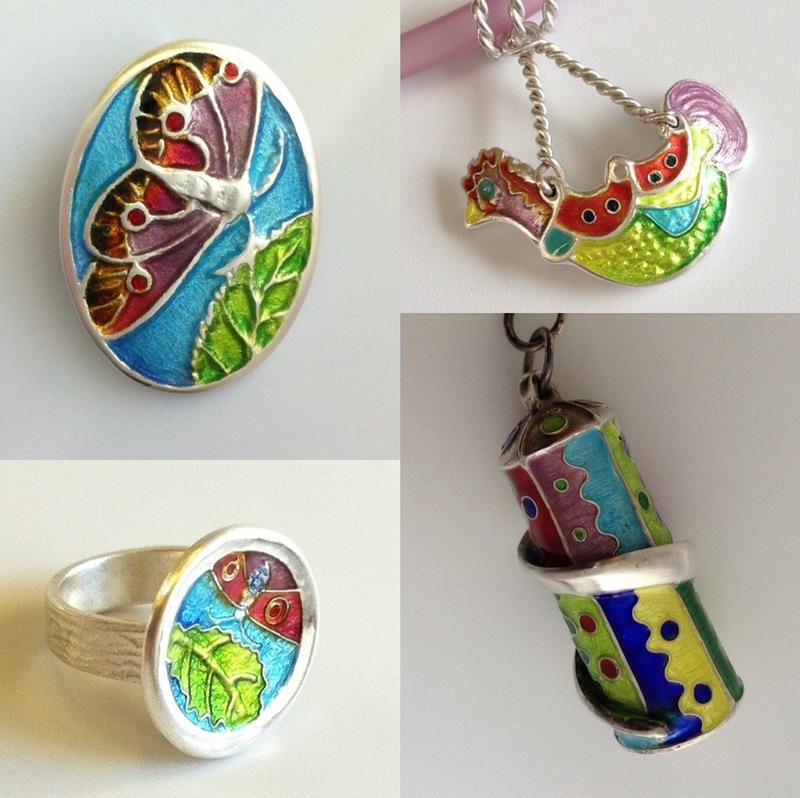 The emphasis of classes for 2014 will be very much on enamelling including enamelling on copper; enamelling on silver and on art clay silver and enamelling ‘in the round’ or onto curved surfaces. 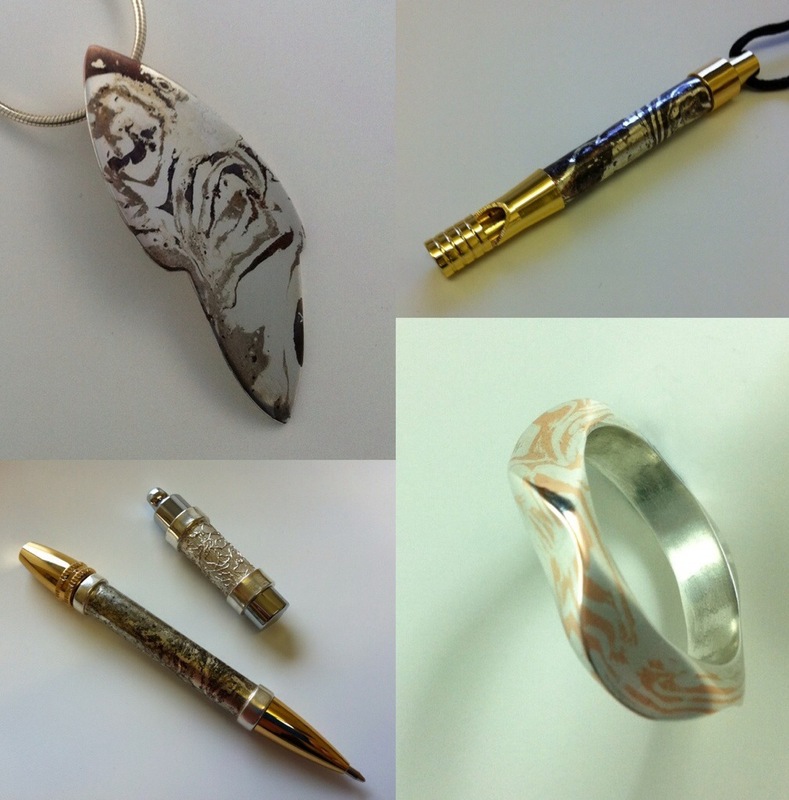 I will also be teaching classes in New Mokume Gane.